Capertee Valley is a magical place and I'm a little reluctant to share its merits because part of its appeal is its relative secrecy and remoteness. 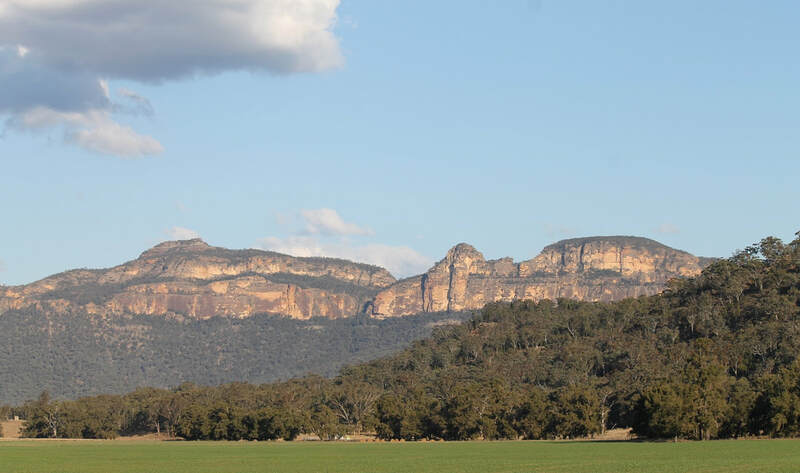 It is the world's second largest canyon, second only to the Grand Canyon, and one can't help but be awed by the towering sandstone escarpments when standing on the valley floor. It is adjoined by not one, but three national parks, and for a birder it combines several different habitats in one convenient package. Heading out to the valley today the bird I was targeting was not what most people would think. Of course, if I managed to find the Regent Honeyeater, an endangered species for which the area is renowned, I'd be happy, but today I was searching for the Diamond Firetail. It is a bird I am told is relatively common, and that I hadn't ticked one had been bugging me for years. I'd tried Bimbi State Forest and Conimbla National Park with no luck. And two weeks previously I'd spent eight hours driving around the valley with no sign of Diamond Firetail. 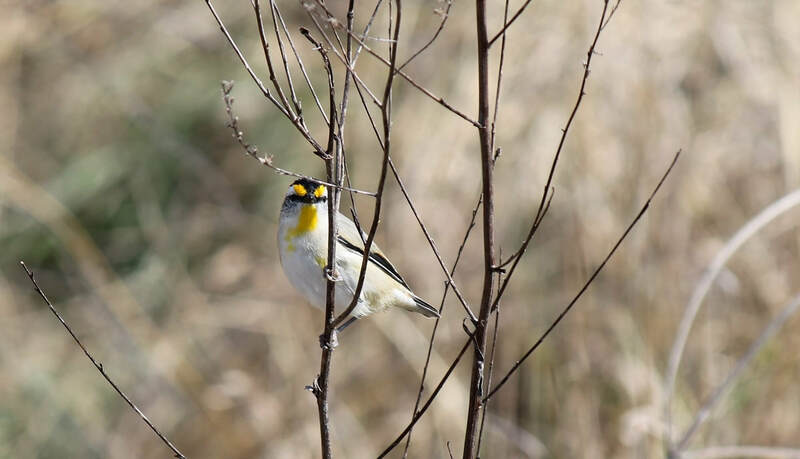 I'd managed to get on to four other lifers that day, Yellow-tufted Honeyeater being the highlight as it was a bird that had captured my imagination since childhood, but no Firetails. I'd come across plenty of Zebra, Red-browed and Double-barred Finches, all lovely little birds, but not the prize I wanted. Today was turning out to be the same as two weeks previously. Over the course of eight hours Lil Sis drove to allow me the greatest chance of spotting the birds. 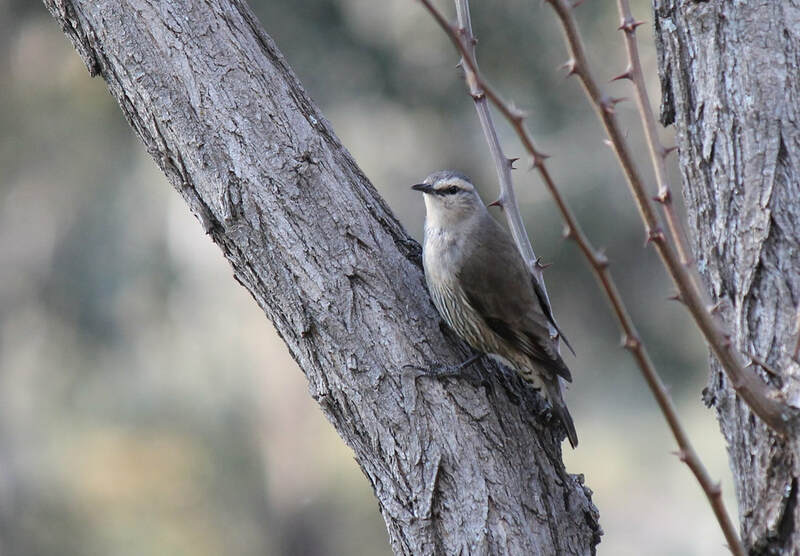 We covered over 100 kilometres and saw dozens of species including Hooded Robin, Fuscous Honeyeater (a lifer for me on the previous trip) and Buff-rumped Thornbill. Almost everywhere we stopped we heard Noisy Friarbirds singing up a storm, and at the tiny town of Glen Alice we found Little Lorikeets which had an almost supernatural ability to avoid being clearly photographed, but no Firetails near the church where I'd heard I might find them. At one stage I thought I had them. The habitat was suitable, of Zebra Finches there were plenty, and using a rise up a riverbank as cover, I managed to get within a metre or two of a large flock of finches feeding on the ground. I scanned through them, hopeful of a Diamond or two but every single one of them was Red-browed. Cute little birds but a common one even in my own backyard. I'd dipped out again. Lil Sis: Are you done? As so often happens, the moment I decided I'd had enough, the bird decided to show itself. As it flew across in front of the car I caught a glimpse of the most vivid red I have ever encountered and combined with its size and the white flanks I managed to see a flash of, I knew I was on the money. With the car brought to a screeching halt I dashed back the hundred or so metres to where I could see a single bird feeding on the hillside. Most of Capertee Valley is privately owned, so the road side of the fence was as close as I could get. I managed to line the bird up and snap a photo, but it was so far away, and behind a clump of dry grass. When I zoomed in on the camera I saw the distinctive black bar across the chest, confirming my ID beyond a doubt, but this was not the view I wanted. I was tantalizingly close and yet so far away. 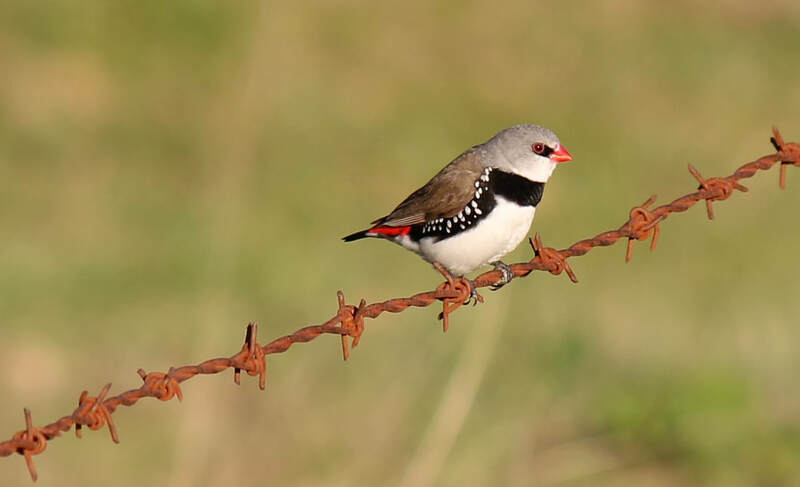 Technically I could now tick Diamond Firetail, but I wanted to actually see it too. I deliberated about whether or not I should take my eyes off the bird and make a dash for the spotting scope (Lil Sis had wandered off in the other direction with her camera) or wait it out and hope it came closer. Suddenly an alarm call from a Little Lorikeet had, not just one but a party of five Diamond Firetails, taking flight and seeking the safety of a nearby tree. Still too far away for me to get a good view but at least I now knew they were there. After a minute or two they dropped back to the ground and carried on feeding, still hidden by the long grass. I was just getting ready to make the dash for the car to get the scope when a Firetail flew in from behind me and perched on the barbed wire fence right in front of me. What a view! It was almost as though the bird knew. It sat there accommodatingly as I snapped a few photos, changing its pose a few times to make sure I got every angle. A magic moment. It was the perfect ending to a great day of birding. After a minute or so it flew off to join its friends and I went home completely satisfied with the sighting.